I’ve been freelancing writing for just about a year now (time sure does fly!) and I’m really excited to get to share what I’ve learned with people just like me with this blog. 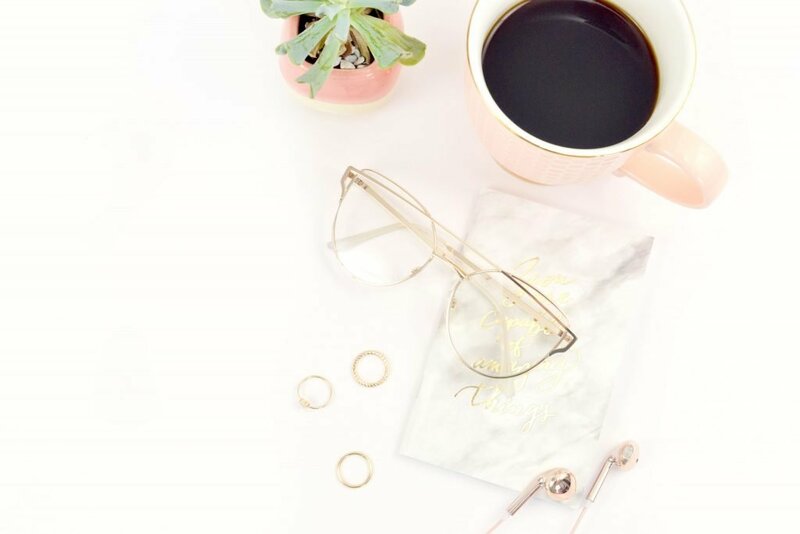 While I’ve had a lot of success in my business in the last year, especially while juggling both full and part time jobs in addition to freelancing, things didn’t always look so good. That’s because I got caught in the rut of using a bidding site in order to find freelance jobs. I know it doesn’t sound like the worst thing in the world, but sometimes a bidding site can be right on par with content mills. I spent about four months using this platform with very little success and I found it was sucking all the time and energy I could have been using elsewhere. 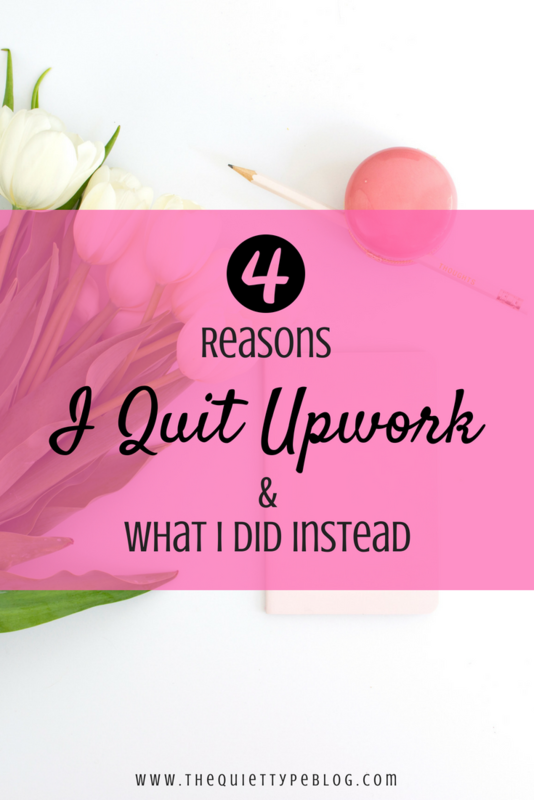 That’s why I decided to tell you the story of why I quit using Upwork and have stayed away from bidding sites since. So if you’ve been considering Upwork or Fiverr, or you’ve had some experience with it in the past, I hope you find this helpful! As I got closer to graduating college, the weight of paying back my student loans was bearing down on me and I thought I should be preemptive and try to find some easy ways to earn some extra money. One day I was perusing the web when I stumbled across Upwork.com. 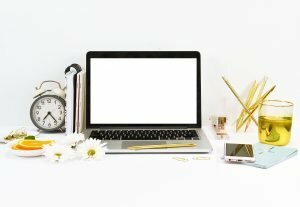 There were a ton of comments from people claiming they made extra money by offering writing and editing services through the site. Since I was about to graduate with an English degree, this was right up my alley. I signed up and created my profile right then and there. It honestly seemed perfect. I love writing and reading, and I’m a stickler for punctuation and grammar, so I was really excited about it. It took a few days to set up my profile and add samples to my portfolio but once I was done I jumped right in and started sending proposals for jobs. The platform was easy to figure out, so getting started was simple. The biggest hurdle I found right away was that Upwork requires freelancers to verify their identity via an online chat complete with a webcam. As someone who hates taking pictures and being on camera, this wasn’t the most ideal situation for me. Luck was on my side though (or not depending how you look at it) and my webcam wouldn’t connect, so I just had to send a copy of my driver’s license and a piece of mail that was addressed to me. The verification process turned out to be a piece of cake. Let me preface this by saying that some people really love Upwork and have been able to make it work for them as their primary way of finding clients. When I first started, I did a lot of research to get as much information as possible and to help me land clients. I stumbled upon Danny Margulies from Freelance to Win, who makes a TON of money using Upwork, but even after implementing his strategies, I still wasn’t able to get offered any high paying jobs. When you are looking for jobs on Upwork, you can see a range of the number of proposals that client has already received for a project. Many times, after only a few hours, the project will have had 50 proposals on it. Upwork is so saturated with people looking for the same work, the chances of even having your pitch seen are slim. If you are lucky enough to get picked for a job, once it’s been completed both the client and the freelancer are able to leave a review and overall rating of each other, which then gets posted to your profile. I think this is a really great idea but it also has a downside. Freelancers new to Upwork don’t have a rating when they start and most clients are looking for highly rated freelancers. This was really frustrating for me, even though I think the main problem was the number of freelancers looking for work. Because there is a large number of freelancers using Upwork, a lot of clients don’t expect to pay what the project is worth. This is one of the biggest problems freelance writers face, it seems. We really have to weigh the pros and cons when it comes to deciding what to accept when picking writing jobs that will build our portfolios. 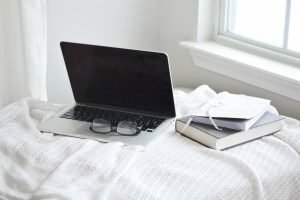 One of the jobs I was offered was writing lifestyle articles for an online magazine, which I thought sounded so fun! I sent a proposal and was really excited to get an offer back. However, that elation was dimmed when I was told they pay $5 per 800 words. That’s just crazy! Since their articles are usually around 1600 words, I would only be making $10 per article. That’s not even .01 per word! At that point, I was so excited to be offered a job that I took it. Needless to say, those articles turned out to be A LOT of work. What I thought was going to be a fun and easy job writing lifestyle articles turned into a stressful burden. Even after I got used to their editor, I was still spending 4 hours on each article for a measly $10. I stuck with it for a few months before I decided it just wasn’t worth it. If you do manage to get a writing job on Upwork, don’t be surprised when Upwork takes a cut of your earnings. While this fee isn’t massive and they make it clear when you sign up, it does add up for higher paying jobs. The fee is also based on a sliding scale of your total earnings with each specific client, so for the first $500 you earn they take 20%, then 10% until you reach an earning of $10,000 and 5% after you exceed earnings of $10,000 with that specific client. The problem with that is not all clients are looking for a long term relationship so the likelihood of having the total fee reduced isn’t great. Upwork is great in that it is a foolproof way to ensure you get paid. They require clients to put the funds for the project into escrow so they can’t skip out on payment. What they don’t protect against is clients who try to persuade freelancers to complete an unpaid “test” article before they offer them the gig. Sure, they tell their freelancers to never do any work for free, but when you’re a new freelancer looking to build up your portfolio, you might be a bit wary of turning a potential client away. I never followed through with clients that required test articles for free, but I did try to report those instances to Upwork, only to hear nothing back. So frustrating! Even though Upwork didn’t work out for me, I realize it has worked wonders for other freelance writers and many still use it. Maybe if I had more patience, I would have had the same success. However, sending proposals for jobs was beneficial to me because it helped me to fine tune my pitches and figure out the best way to grab the attention of clients while also selling myself as a freelancer. Because of that experience, I think I got better at sending pitches to potential clients outside of Upwork. My experience with the job offering only $5 for 800 words was eye opening! It became even more so after I received my first high paying client. It made me realize I needed to know my worth and my rate limits. 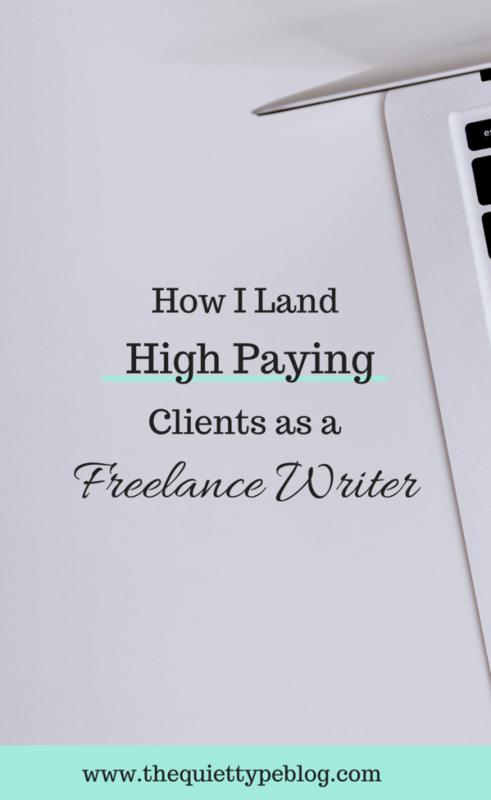 In order to do that, I did a lot of research on what freelance writers typically get paid for different services. That included asking around in some of the Facebook groups I’m in. I also made it a point to track my time while I was working. That allowed me to see how much time I was spending on each particular project. Taking those steps really helped me narrow down my rates. This one kind of goes hand and hand with the above point, but I figured out that it’s okay to say no to jobs. If a project doesn’t pay well enough, doesn’t benefit my portfolio, or doesn’t excite me, I pass. I found that if I’m not excited to work on it, I’m probably not going to give it my best work and that’s not fair to me or the client. That being said, I also found out it’s okay to say YES to something that does excite me, even if its a little outside of my normal area of expertise. Thanks to the learning experience I had with Upwork, I wanted to try something a little different. I knew I needed to be creative when it came to marketing myself to help my business grow. I have a friend that does a lot of networking and it got me thinking. With her help, I was able to really start marketing myself as a freelance writer. The friend I just mentioned works as an area manager for a company that specializes in shared office space. With her jobs comes networking, so she has a lot of connections in various fields. She’s also been my best friend since birth, so I had that going for me, haha! When I told her I was going to start taking on writing jobs, she immediately went into coaching mode. For the rest of our lunch date she was listing people off that she wanted me to connect with. Within a few hours she had connected me with three people who were in search of writers. While they didn’t all pan out right away, I made some really great connections. Even though they didn’t need a writer right then, they could in the future. I can’t thank her enough for being my biggest cheerleader when I decided to pursue a freelance career. I still can’t believe this, but I found my first big client on Twitter. I’ve never really gotten the hang of Twitter, so never in a million years would I think of Twitter when it came to finding work. After setting up my Twitter account, I randomly stumbled across a tweet from a company looking to hire freelancers. They were starting a new site and needed writers. I took a chance and sent in my resume and some samples. A few weeks later, I got an email back asking me to be a contributing writer for their site! Since then, I’ve used social media as a way to suss out leads. I don’t often see job postings quite like that one but it’s been a great way to connect with other freelancers and build a following for my own work. As a self proclaimed introvert, the idea of networking was/is terrifying. I’ve always been the quiet type and while I’ve become a little less so over the years, meeting new people in a large group setting is still pretty scary. Networking really does have it’s benefits though. As a writer, you meet many potential clients as well as people that already have the experience you’re striving for. I also started networking through Facebook groups, which has been really great. They’re an awesome source to find new leads, connect with like-minded people, and just learn about the craft. One of the groups I joined my go to for leads when I am looking for new clients. Check out my resources page to see which groups I am part of and recommend! There you have it! While all of these things have worked for me so far, I am always open to trying new things. Are there any specific things you’re doing that you’ve had great success with? 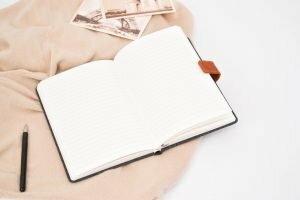 Have you tried Upwork? What did you think? Let me know! Hi! 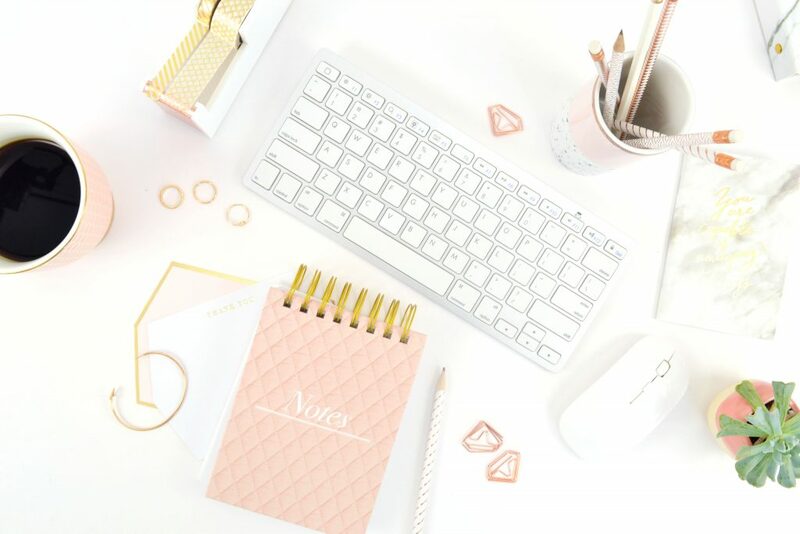 I’m Katie, a full-time freelance writer and blogger. 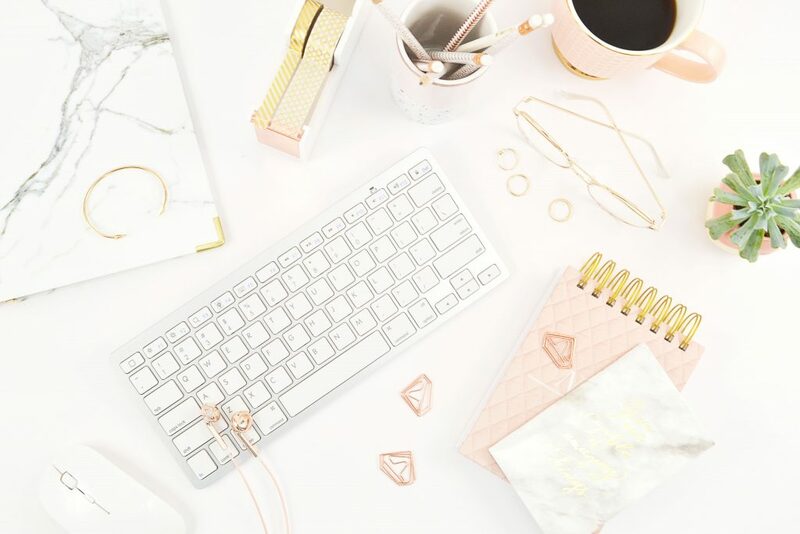 I share tips and advice on freelance writing, blogging, and creative entrepreneurship to help people just like you pursue your dreams of working from home! Download my free workbook, A Freelancer’s Guide to Setting Rates, here. I was considering signing up for Upwork but I was very hesitant. I don’t want to end up writing an article that I spend hours on and only get a few bucks. I’m sure I’ll find other ways to freelance. Thank you for sharing this! I’m glad you found it helpful! I know some people have had success with it, but I’ve found that I’ve been better off without it. I also saw an article today that Upwork is supposedly going public later this year, so it will be interesting to see how things shake out for people that use it. This was so helpful! Thank you. I’m glad you found it helpful! Hi! I'm Katie, a full-time freelance writer and blogger. 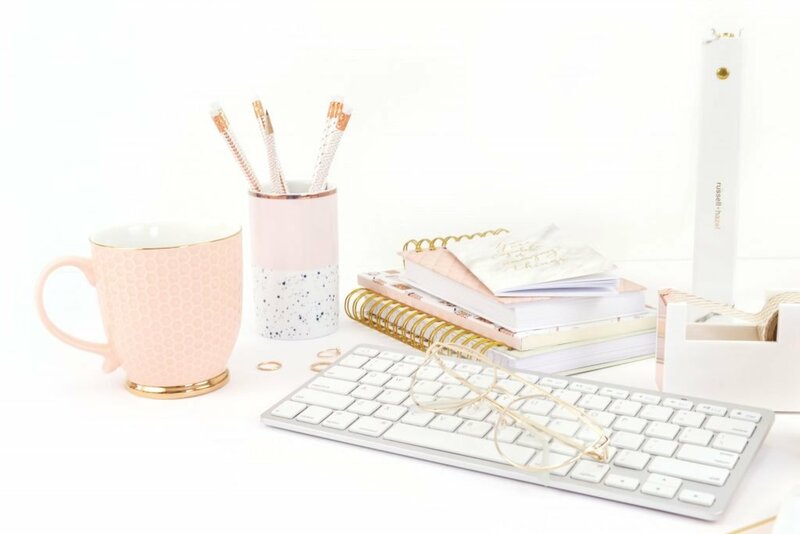 I share tips and advice on freelance writing, blogging, and creative entrepreneurship to help people just like you pursue your dreams of working from home! Download my free workbook, A Freelancer’s Guide to Setting Rates, here. Have a question or want to discuss partnership opportunities?